OK, so you can write - now learn how to read! 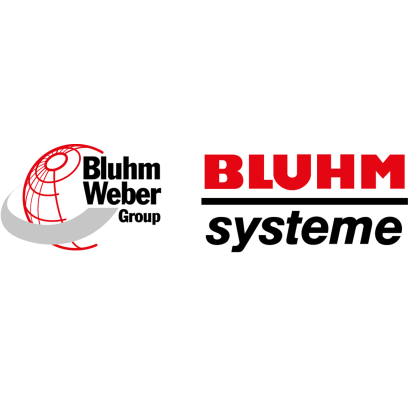 Bluhm Systeme is focusing on its strengths at HANNOVER MESSE 2019: "Integrated Industry - next steps". The company's "Bluhmware" software aims to take machine learning to a whole new level with fully autonomous production processes. Bluhm Systeme is a full-service provider for cross-industry production and logistics labeling solutions. Its products put information such as expiration dates, lot and batch IDs, and logistics information directly or indirectly onto products and packaging via labels. Besides label printers and dispensers and specialist labeling systems, the company's range also includes inkjet printers, laser labeling solutions and thermal transfer direct printers. What's more, it also manufactures labels for all applications. This extensive portfolio is rounded off with accessories such as inks, software and ink ribbons, not to mention various financing options, product training, a large service network and a 24-hour hotline. Through its exhibits at HANNOVER MESSE 2019, Bluhm aims to show that, as an expert in labeling technology, it can provide more than just the essential printing and labeling machines and accessories. It also offers software applications that play a key part in implementing autonomous processes for the all-important tasks of collecting and analyzing data. The main advantage is that labeling technology is usually to be found at the really critical points in production, which means "Bluhmware" software is ideally placed to capture, collate and subsequently evaluate relevant production KPIs. The software uses signal exchanges with conveyor technology to determine data such as production time, production speed, plant output and downtimes. Based on this information, the software then calculates the optimum plant speeds and ideal production sequences. All in all, it helps machines to learn - in the true spirit of "integrated industry".